Perhaps the most unique way to see San Miguel is from the air. This adventure of flight is available any day of the week. At times you may find yourselves just a few feet from the ground, and at other times you will be flying clear above the clouds. It is quite an exciting feeling - definitely an unforgettable experience. Breakfast is included after the flight, once we are back in San Miguel. The total experience takes about 3 hours, from 6am to 9am (approx). 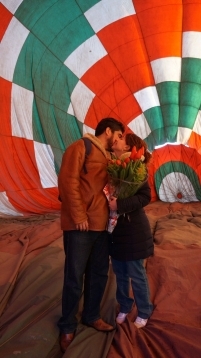 Taking a sunrise flight on a hot air balloon makes a great gift for special romantic occasions. 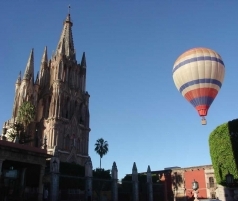 The flight will also take you out over the San Miguel countryside for your landing and apart from the flight itself, clients also participate in the preparation of the balloon which is also quite interesting. 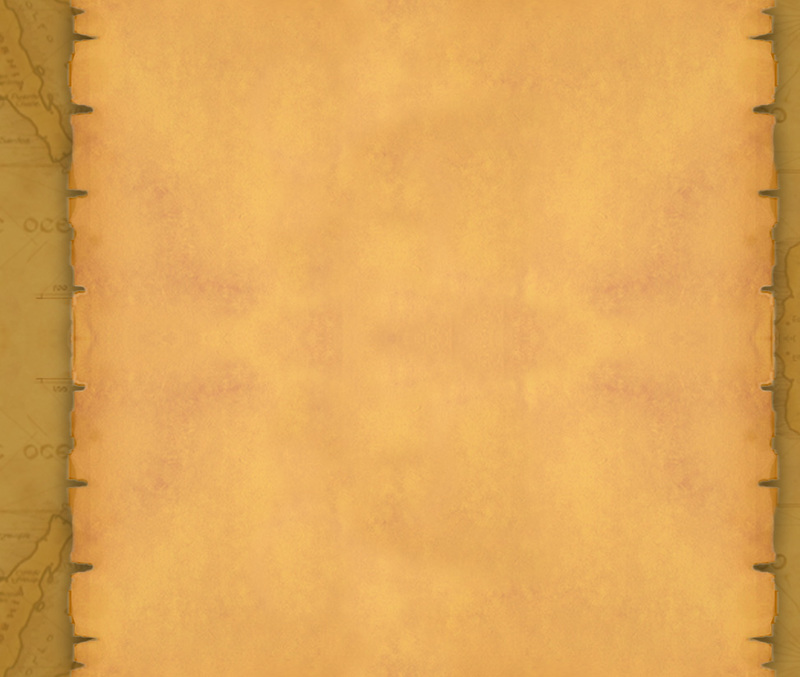 A deposit of 50% is required at least one week before the flight. Fall in love with San Miguel. Fall in love in San Miguel. How do I book a Hot Air Balloon Flight? It's simple... contact Coyote Canyon Adventures and we'll give you all the information you need to book a flight. On average, passenger flights are approximately one hour in length. Some flights can vary from 45 minutes to 1 1/2 hours depending on the amount of fuel on board, the passengers' combined weight, the temperature of the air and when the pilot finds a suitable landing field. Flights take place in the early morning. 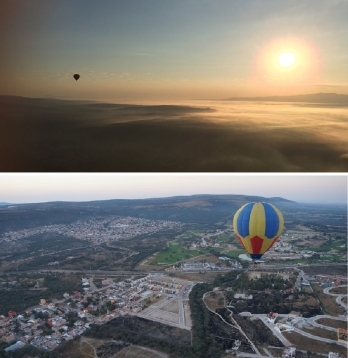 Hot Air Balloons are not able to fly during the middle of the day due to thermal activity, which makes the air unstable. 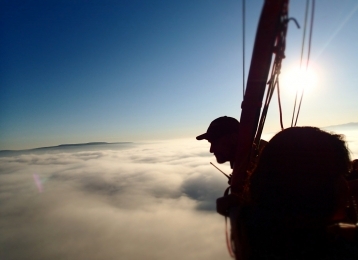 Special clothing is not required for hot air ballooning. We always suggest practical wear, such as long pants, a light jacket, a hat and no sandals or high heels. We do not fly high enough for a change in temperature so plan to dress for the temperature of the day. 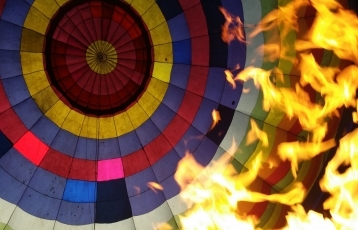 What makes the hot air balloon rise? Hot Air! 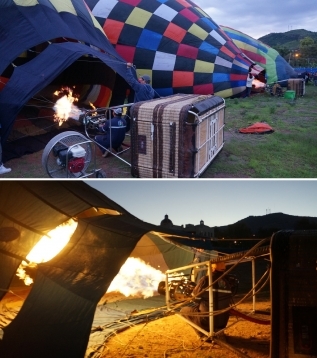 A pair of high-powered propane burners ignites and heats liquid propane that is aimed into the balloon to make it rise. The burners create 30 million BTU's of heat. In comparison, an average home barbecue generates 30,000 BTU's. Each flight uses approximately 100 litres of propane. 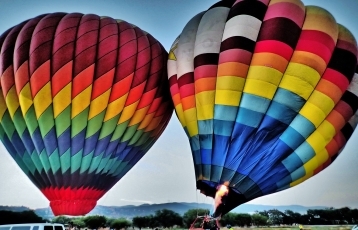 Hot Air Balloons can not be steered like a plane or helicopter. Balloons travel only in the direction of the wind. There may be different wind directions at different altitudes that the pilot may use to maneuver the balloon. Upon landing, our 'Chase Crew' that has been following the balloon since lift off retrieves the balloon and passengers and returns them to downtown. Can I bring my camera and binoculars? Yes, we encourage it. Some of the greatest pictures of the surrounding area can be taken from 500 feet in the air. Don't forget to bring batteries for your camera and a protective case for landing. Though the altitude record for hot air ballooning is 64,997 feet, the height of passenger flights range anywhere from treetops up to 2,500 feet. What can cause a cancellation of a flight? As safety of the passengers, crew and equipment is of utmost priority, flights will sometimes have to be cancelled. Various factors can cause cancellation such as weather conditions. Your safety is our concern and we will not fly if this is jeopardized. If your flight is cancelled you simply reschedule for another flight. 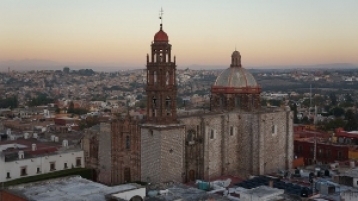 We are #1 tours & things to do in San Miguel on TripAdvisor! 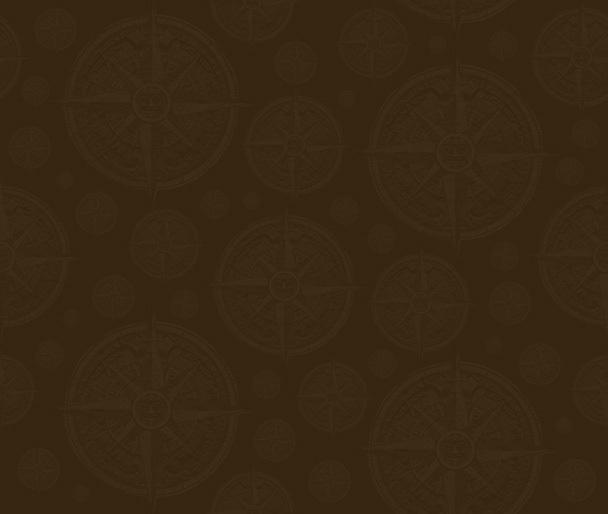 Check out our reviews --that is, the reviews from our clients about us.